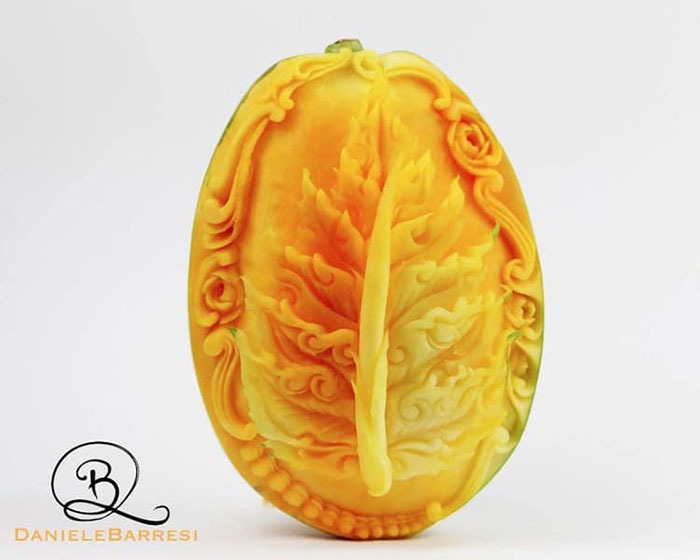 Talented artist Daneile Barresi carves beautiful sculptures. 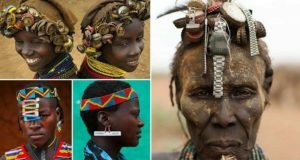 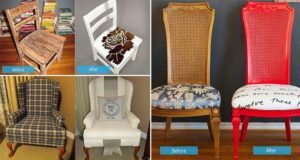 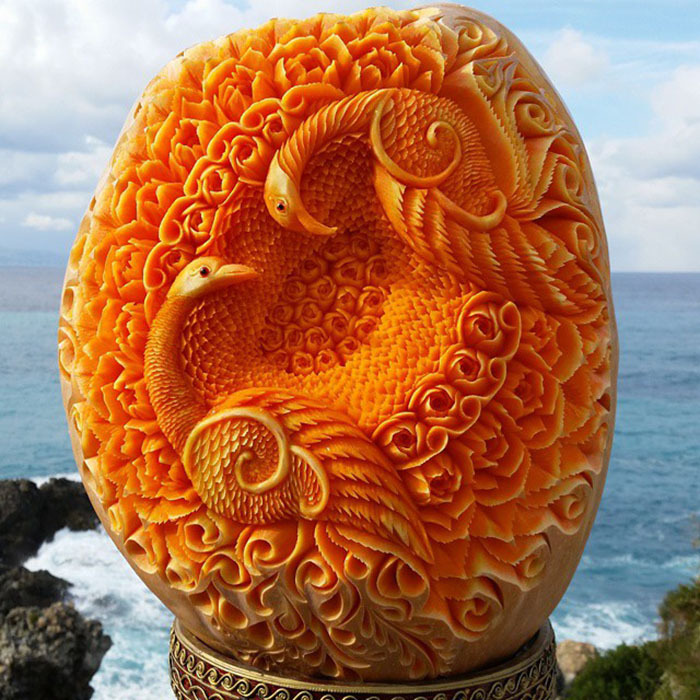 He doesn’t use traditional materials such as wood or stone. 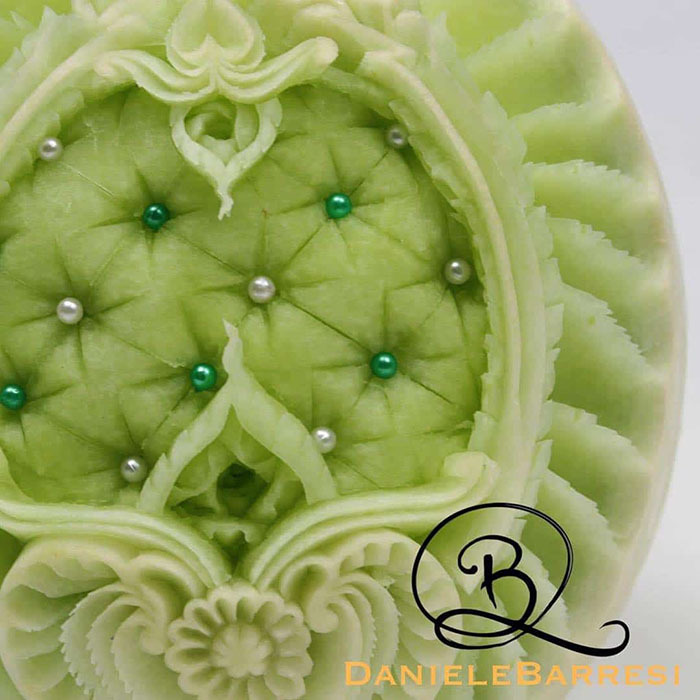 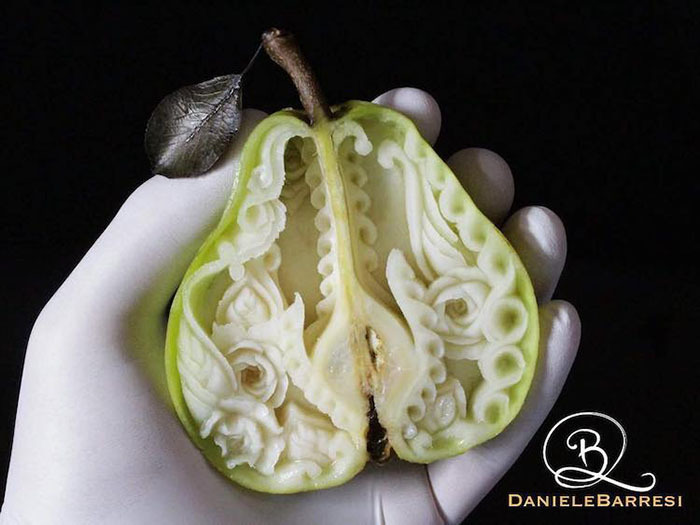 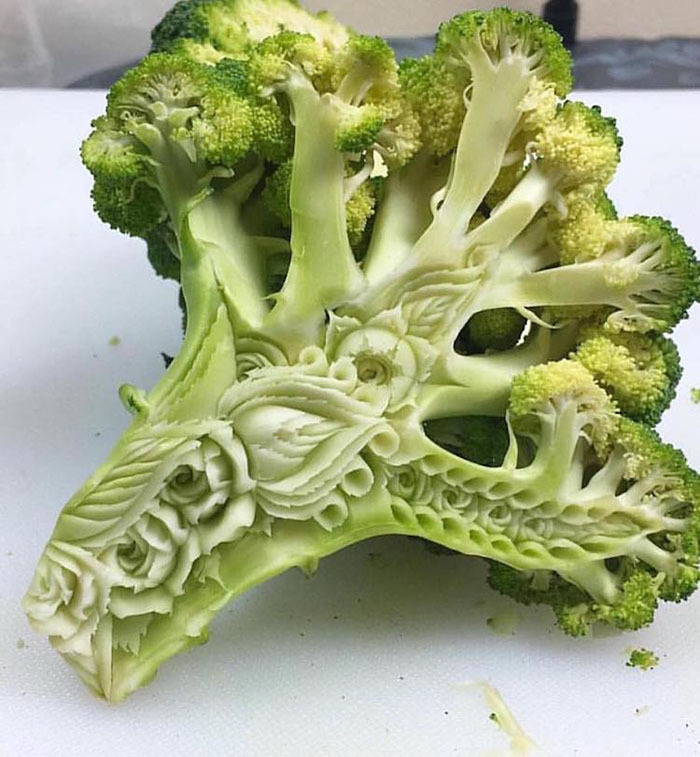 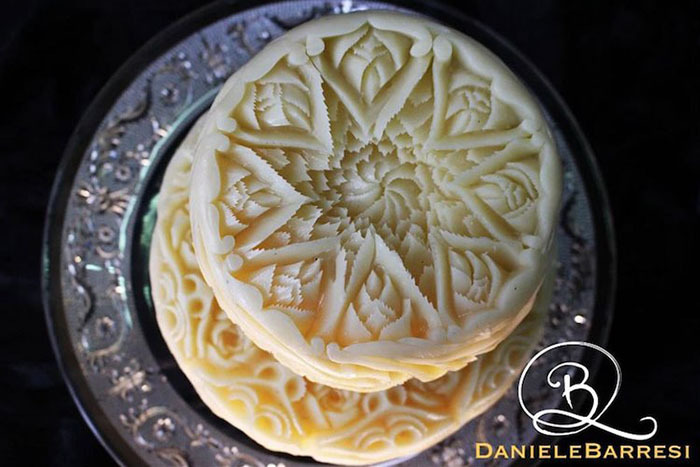 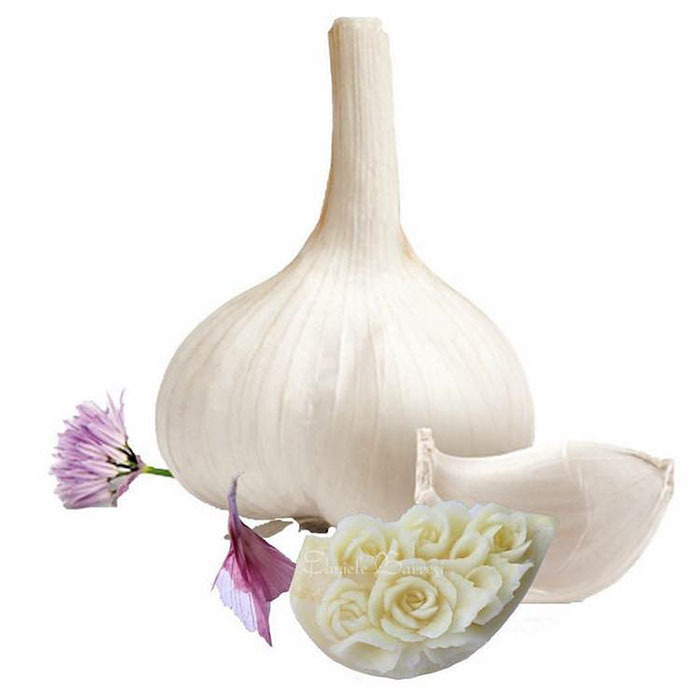 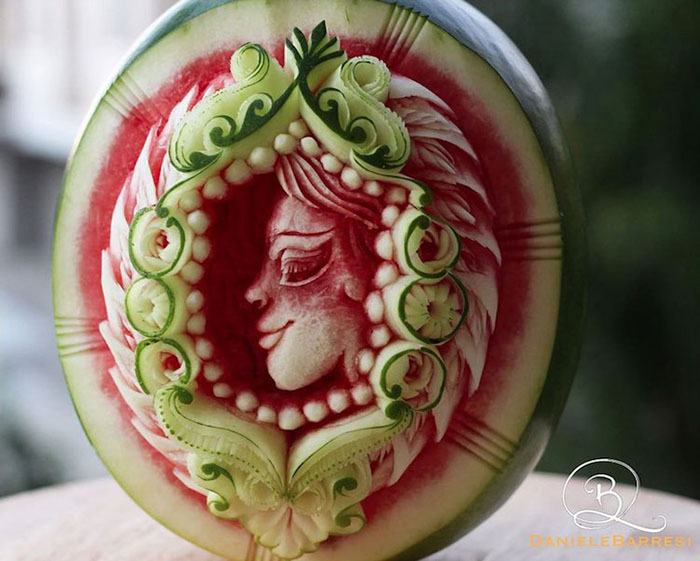 Instead, Daneile uses different fruits, vegetables and cheeses for his unique carvings. 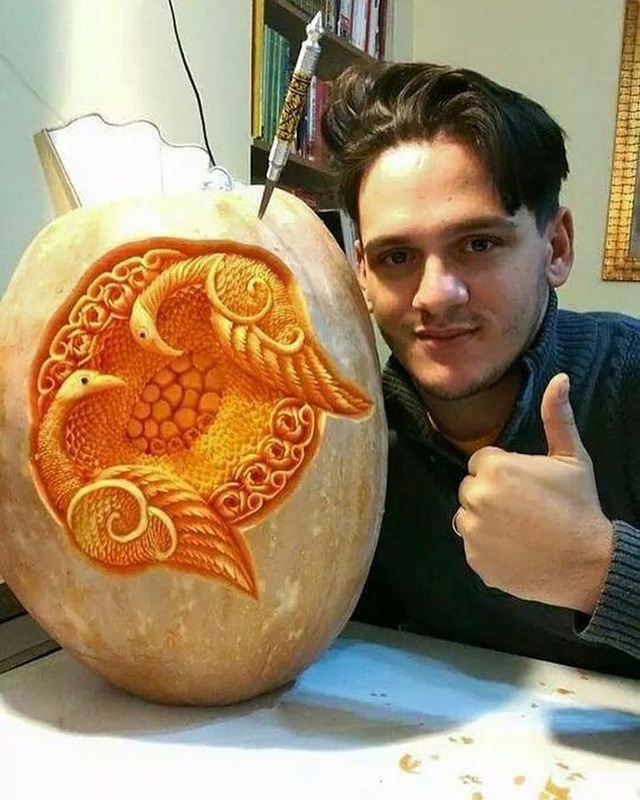 Despite the different inside textures of his canvases, he has managed to perfect the art of carving things such as; flowers and creatures into them. 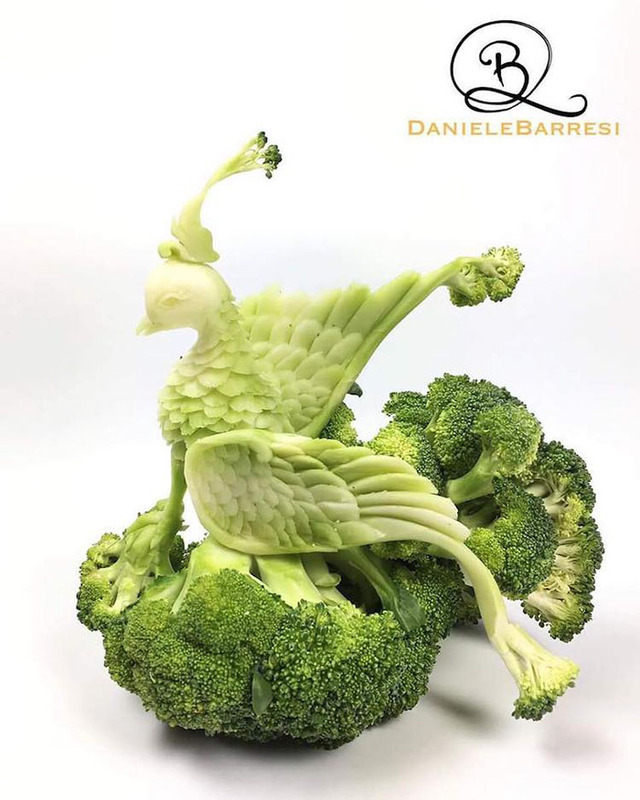 The way Daneile talks of his food sculptures is almost spiritual. 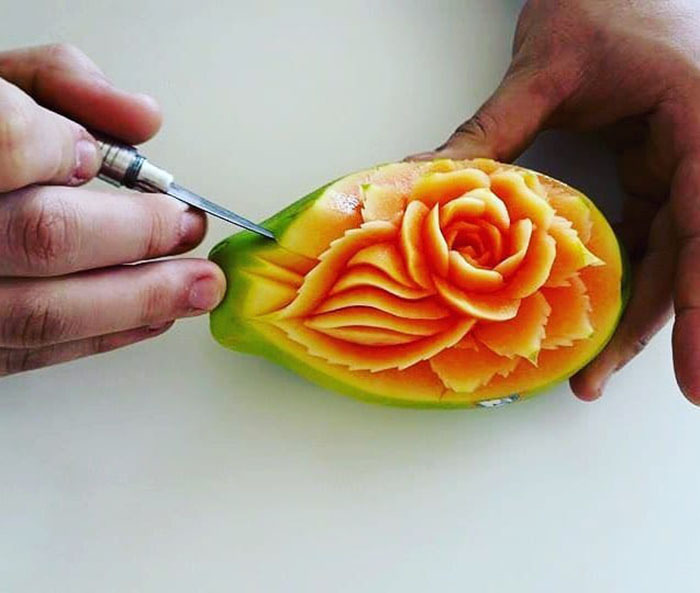 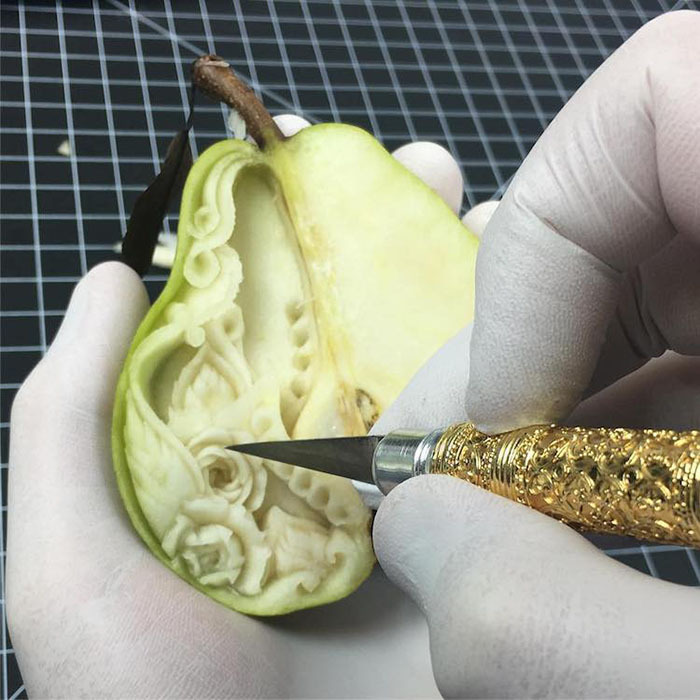 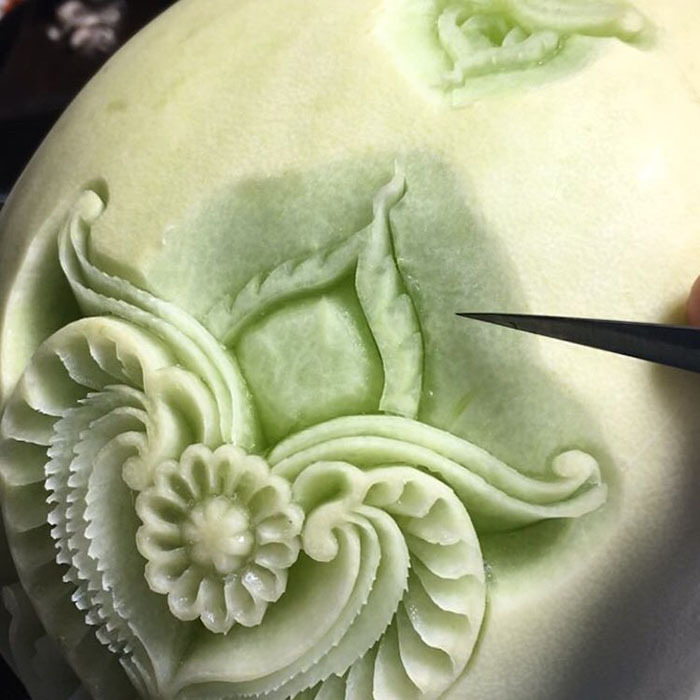 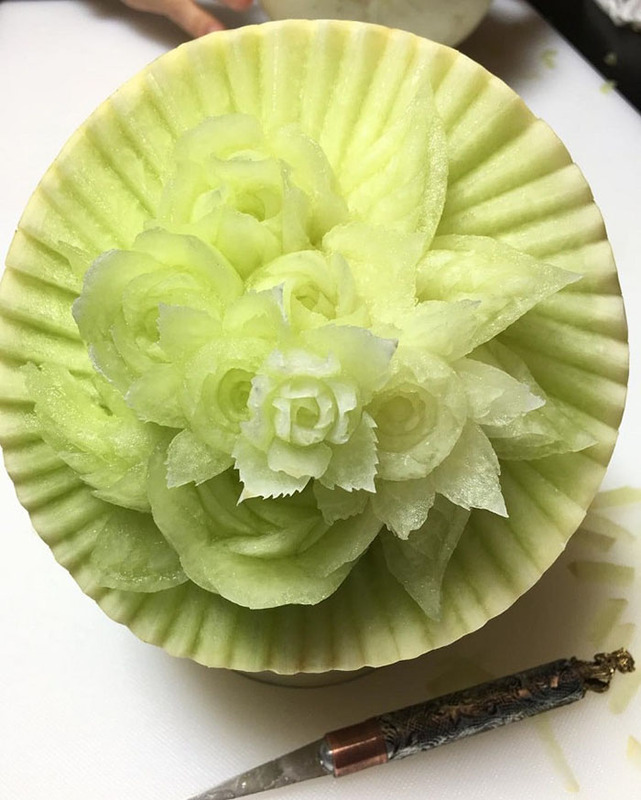 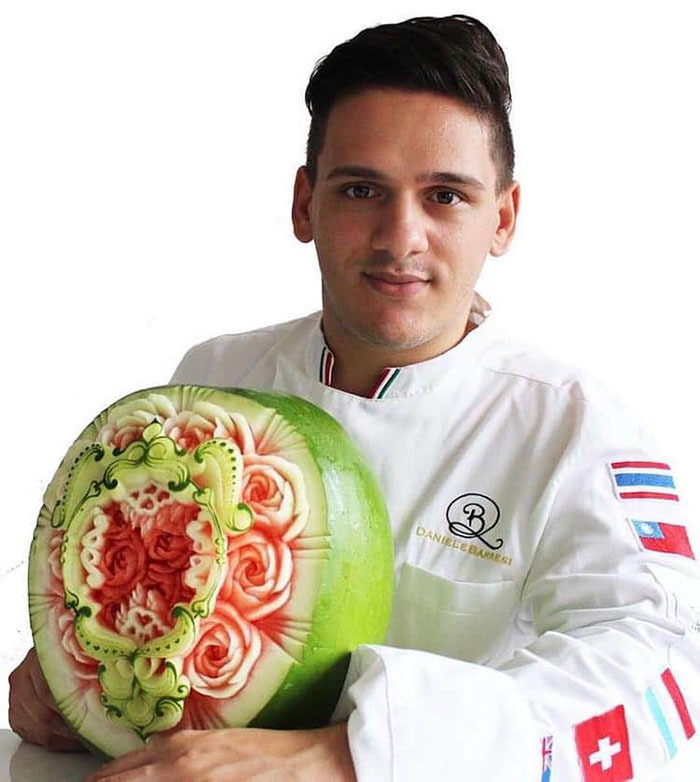 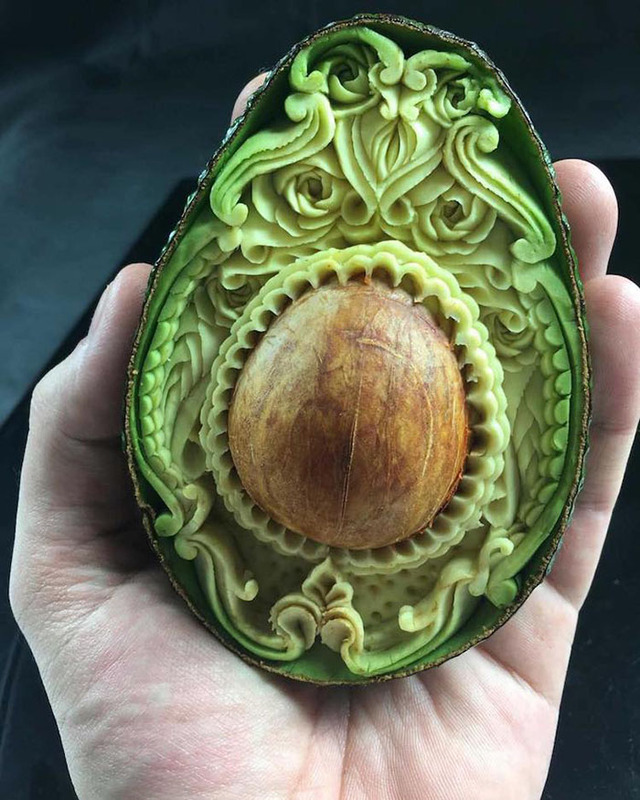 It’s incredible to think he can carve such beautiful and imaginative works of art using his knives, peelers, scalpel and melon ballers. 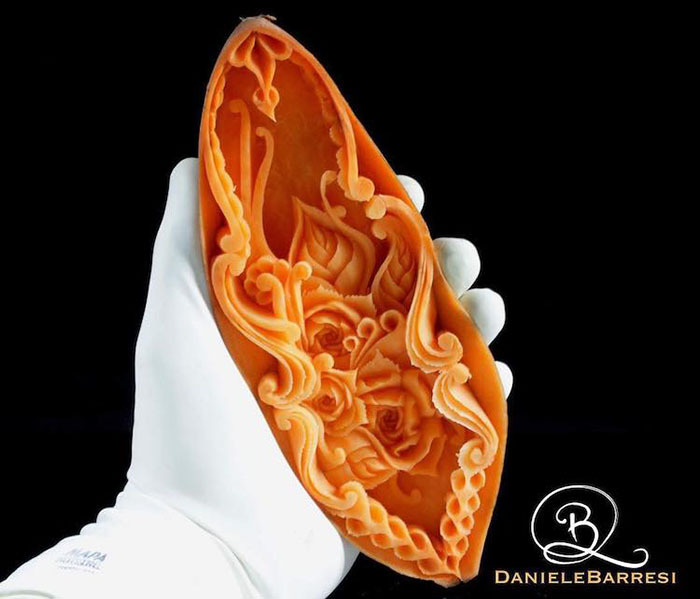 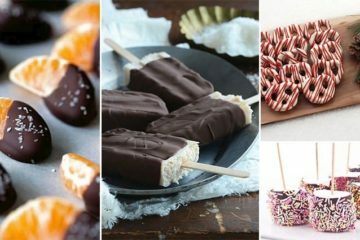 They really are too good to eat and deserve to be preserved and put on show in a gallery for people to admire.